When it was time to sell my rental property, I knew it would be a challenge, as the property was in poor condition. I contacted Steve Senden to ask if he would help me sell the house, because I know him to be a man of integrity. I had a previous experience selling another house and was not pleased with the the agent, as I felt he was more interested in helping out the buyer, than representing me. In that case, I felt that the property was undersold. However, with Steve I was more than pleased with the results of the sale. Steve went above and beyond to make this sale happen. Even though my rental property was in very poor condition, Steve looked on the positive side. He helped me find someone who could help with clean up and repairs. He was always patient and encouraging. As our agent, Steve Senden worked tirelessly on our behalf to make sure our home selling experience was painless. 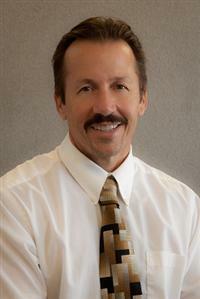 I wouldn't hesitate to recommend Steve Senden to anyone looking to sell or buy a new home. Steve is very professional but also very personable. Steve has helped for years and has always been such an asset to inform us of the best route to take with selling or buying properties. The buyer had a few hiccups along the way but Steve helped us and stayed on top of things. Steve is great at his job! He looks out for his clients and knows the market! I would highly recommend him! We were looking for an honest, reliable agent. What we read about Steve was encouraging. After meeting him we knew he had the personality we wanted to work with. This is where Steve shined. We were always well informed with regards to the sale of our home. Steve went the extra mile to make sure we completely understood what was happening. He communicated with us and all parties to ensure our house closed escrow in time to allow us to move into our new home with no issues and on time. Steve Senden is a very professional real estate agent. He knows the market and how to price your home to get best price. He is trust worthy and honest with his opinions. He looks out to protect his clients from other realtors that can be flakey. He works will with potential buyers. We had a renter in our home while it was listed and he worked well with them to help show the house nicely.